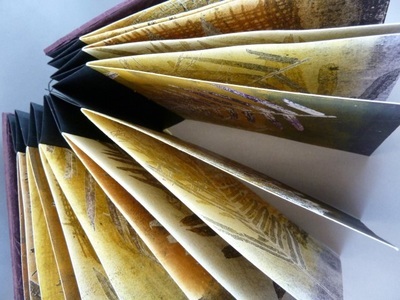 'Colonisation' - Concertina Artist Book; rusted pages, handmade papers from local grasses, drypoint prints. 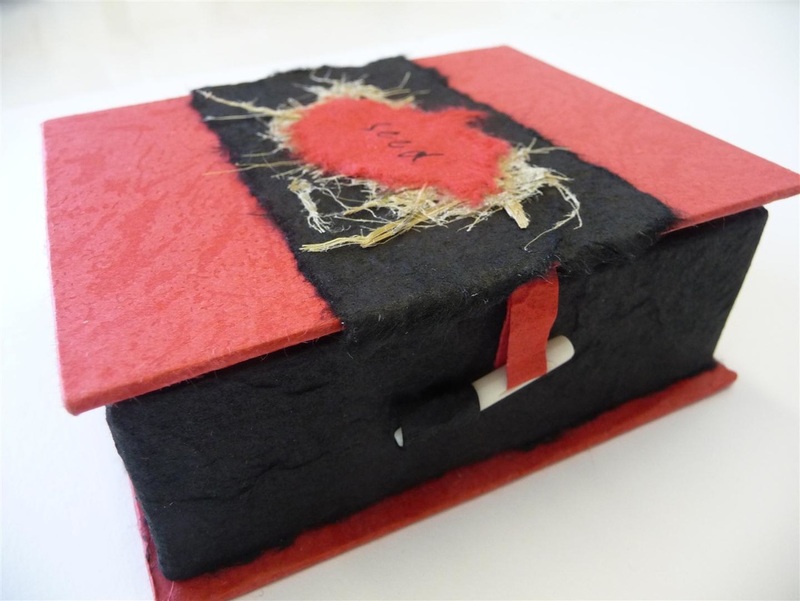 This book was made in response to my Artist Residency at Curtin Springs Cattle Station in August 2018. The book references the co-existence of the man-made within the natural landscape, and it features papers made on the property with local native grasses. The rust marks were created from found objects around the homestead area. 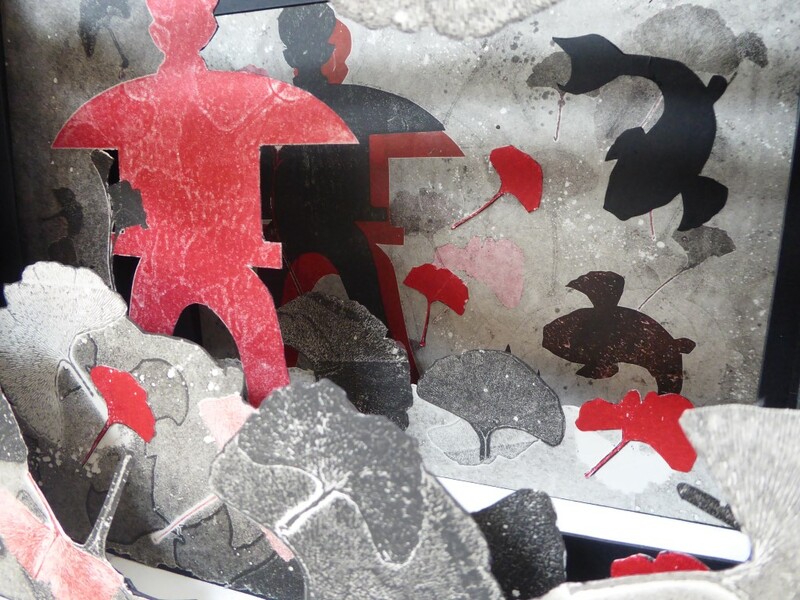 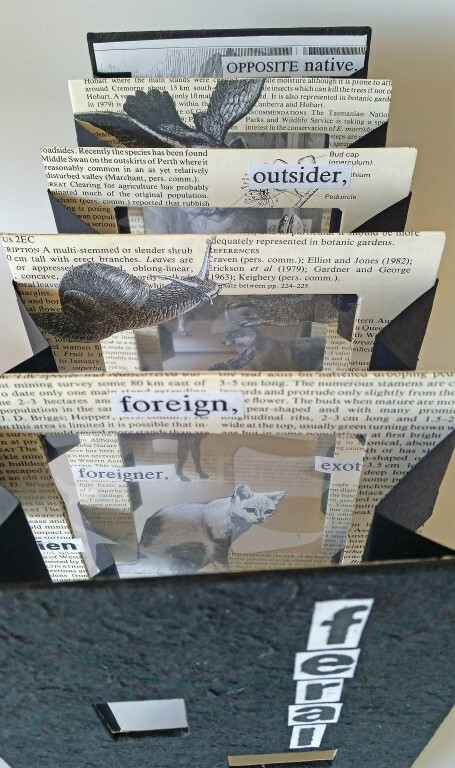 'Feral' - Tunnel Artist Book; collage. The tunnel book format of ‘Feral’ layers imagery of introduced animals with text from a book on endangered plants of Australia, commenting on exotic and often invasive animal species. 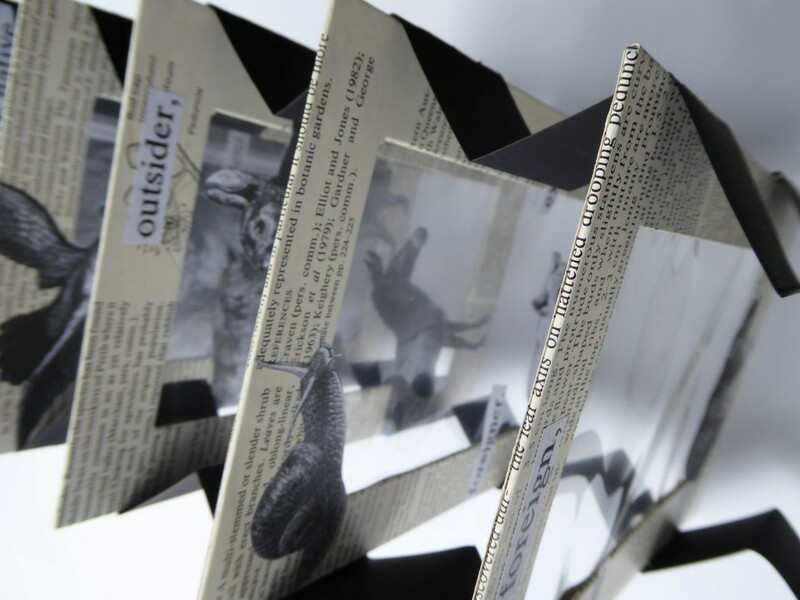 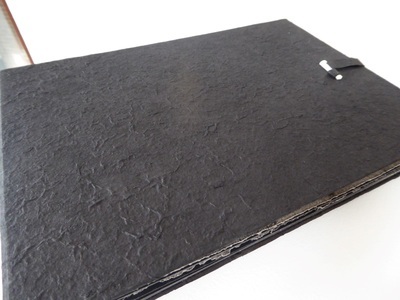 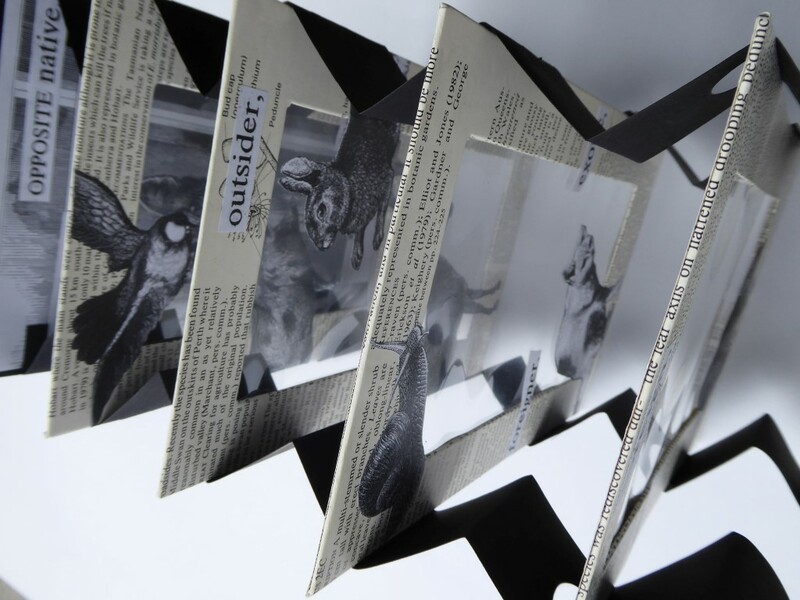 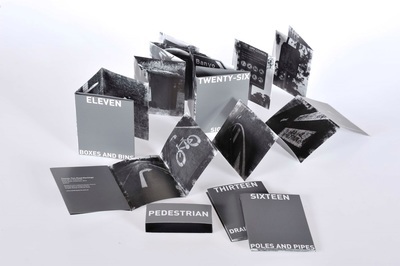 'Pedestrian' - Artist Book - Set of 5 with slip case; photography. A visual comment on the blandness of the urban landscape from a bicycle point of view. 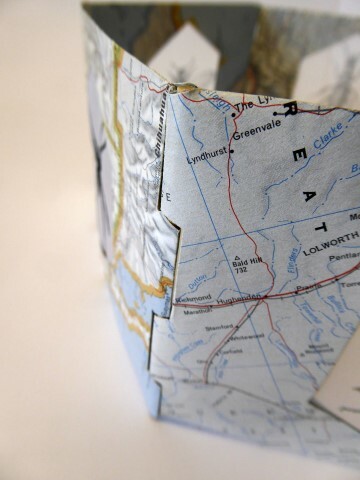 It was inspired by a favourite bike journey of mine around local Brisbane suburbs. 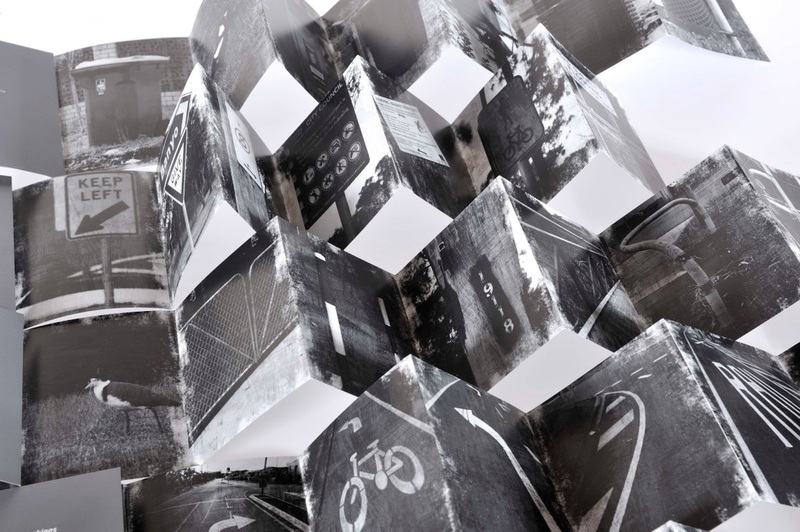 I was suddenly aware of the commonalty of road infrastructure – there is so much of it we stop seeing it and it blends into the background landscape. 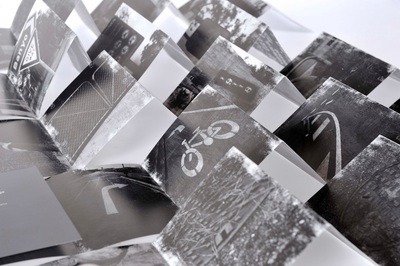 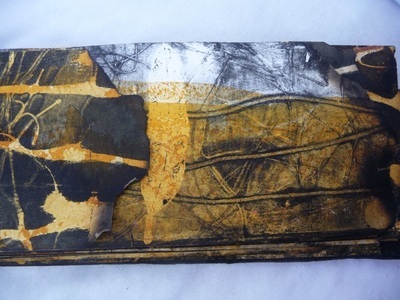 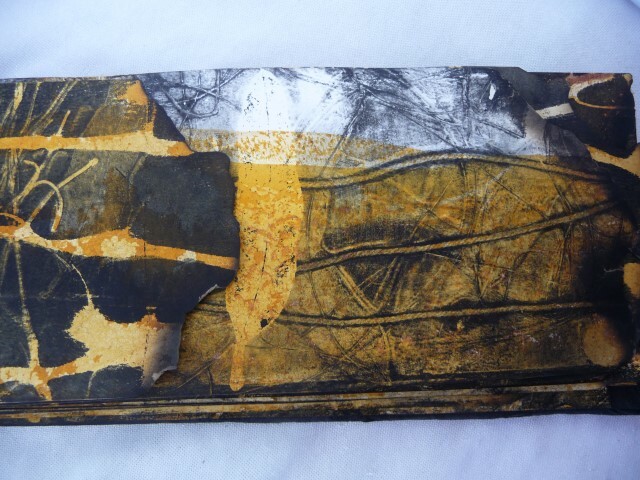 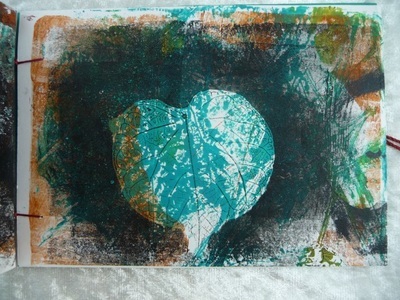 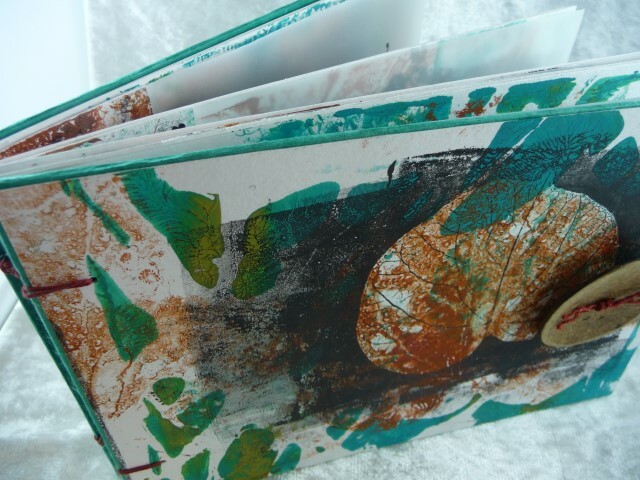 'Godai' - Tunnel Artist Book; monoprints. ​Japanese stone lanterns are one of the most common representations of the five elements in Japan Buddhism (known as godai, “five great”). 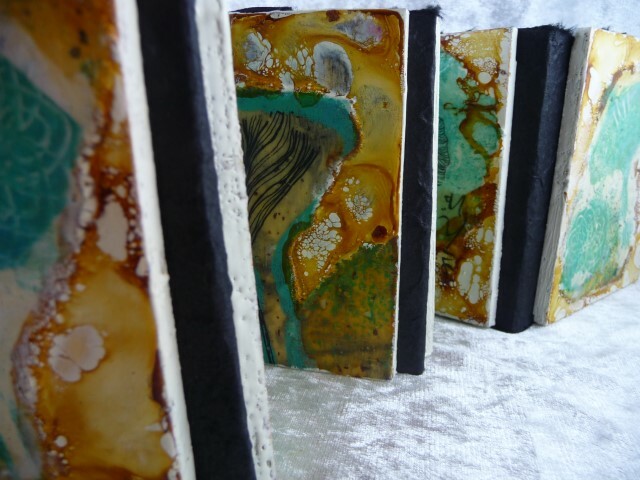 Each section of the lantern represents one of the five elements - earth, wind, fire, wind and void. 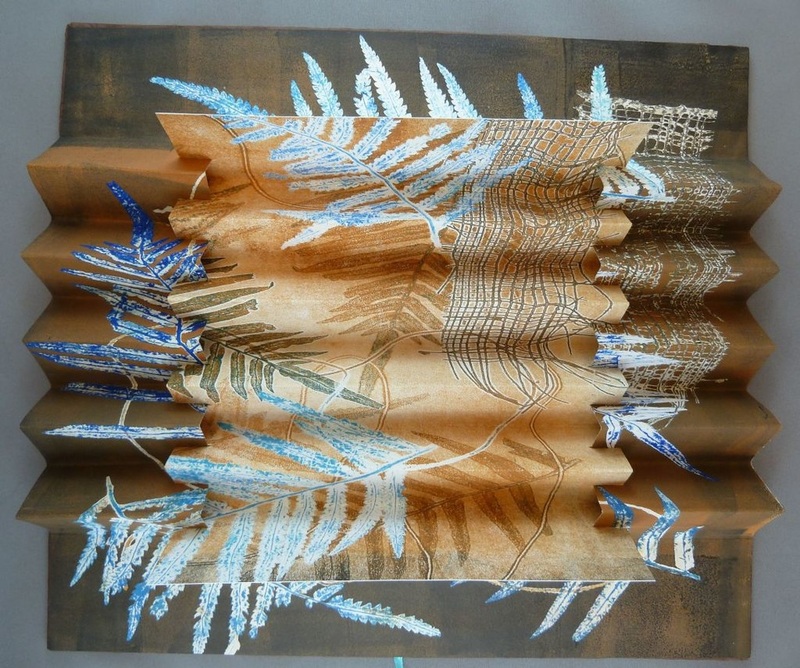 My love of Japanese culture has influenced this work where I have creatively reimagined the layered viewpoints within a Japanese garden. 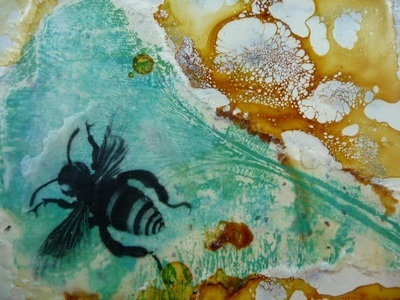 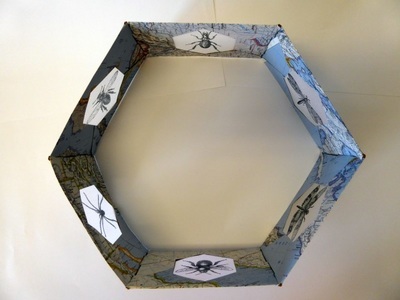 'Entomophobia' - Artist Book; atlas paper, image transfer onto organza. 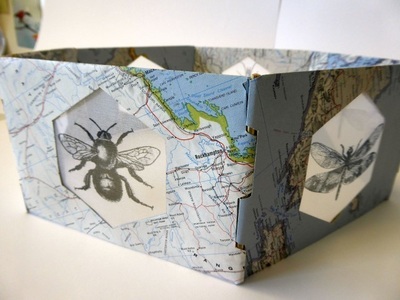 This book refers to the impact of humans on the global landscape and its insect habitats. 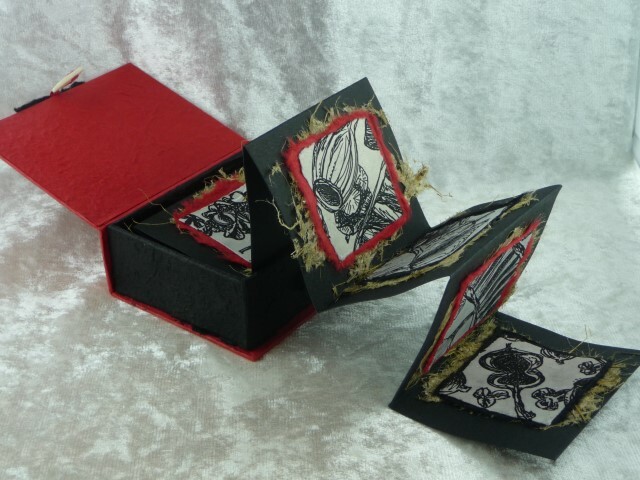 I named this book ‘Entomophobia’ as a reference to our general attitude towards insects. 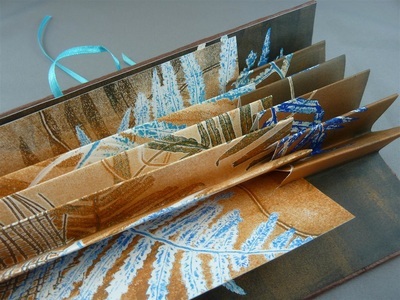 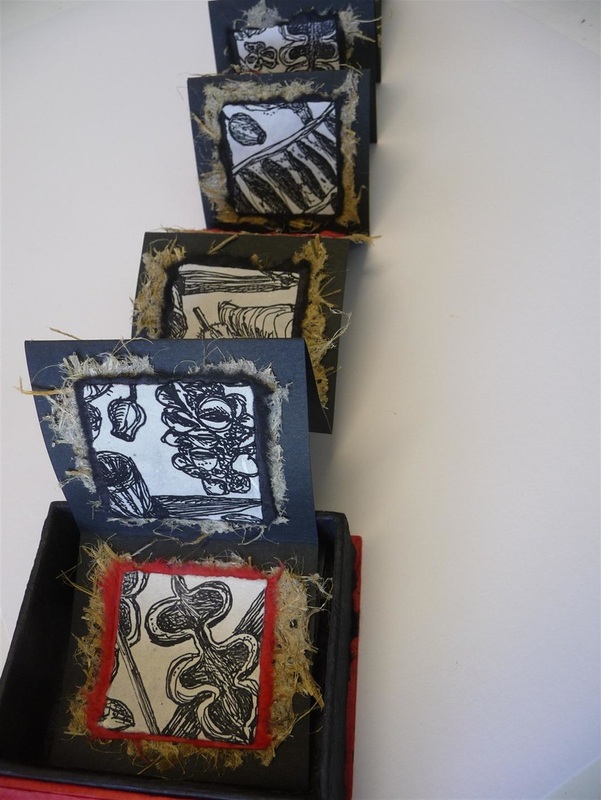 'Seed' - Artist Book; repurposed box, etchings, botanical paper. 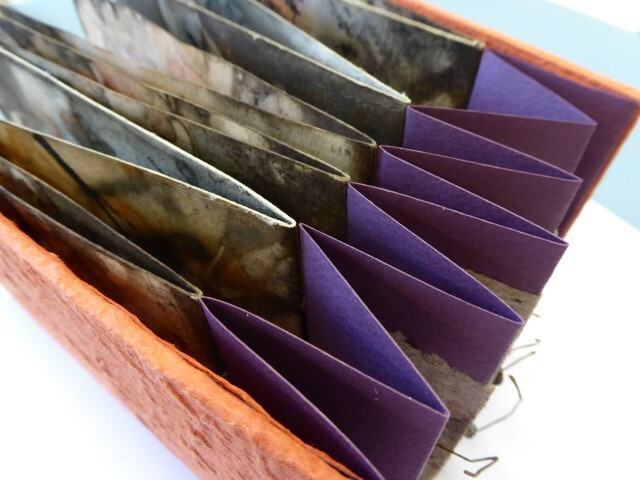 A celebration of the beauty and variety of seeds from plant, inspired by the Mt Coot-tha Botanic Gardens. 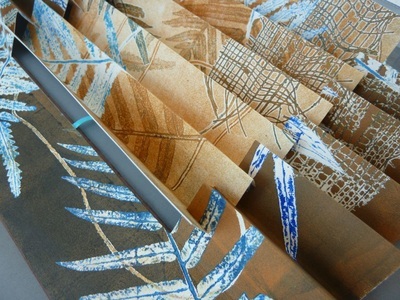 'Fern Frond Concertina' - Artist Book; monoprints. 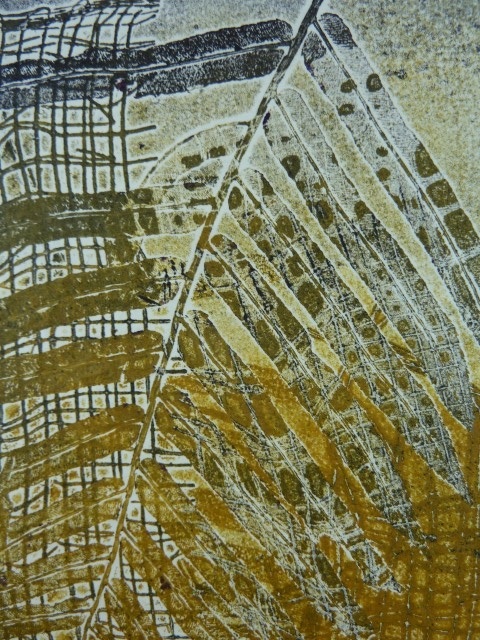 Inspired by ferns growing in a wallum swamp at Woodgate. 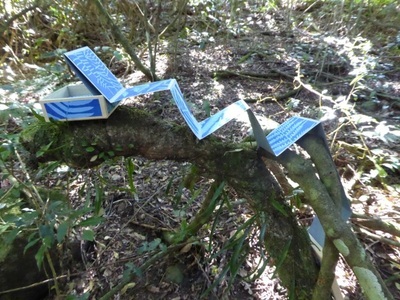 The concertina format gives a unique perspective, like the layered habitat in which the fern is found. 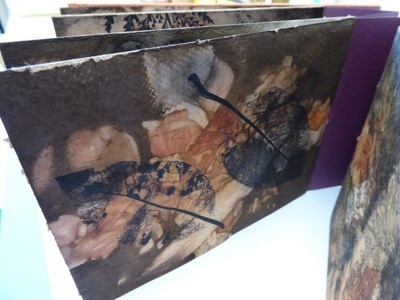 'Desert Uplands' - Artist Book; monoprints, rusting, single sheet binding. 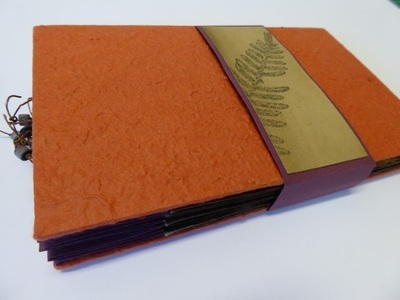 Completed during my residency at Blackall, this book is a reflection on a day trip to a property in the desert uplands of Queensland. 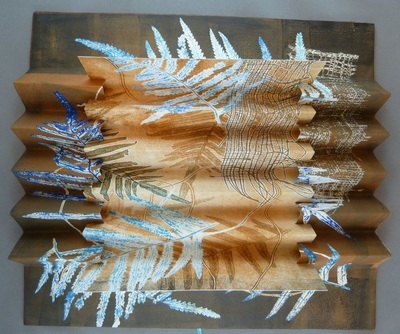 I used leaves and string on a rusted background to illustrate the vast spaces and textures of the landscape. "Gingko Biloba I and II' - Artist Books; monoprints, image transfers, shellac on wood panels, encaustic. 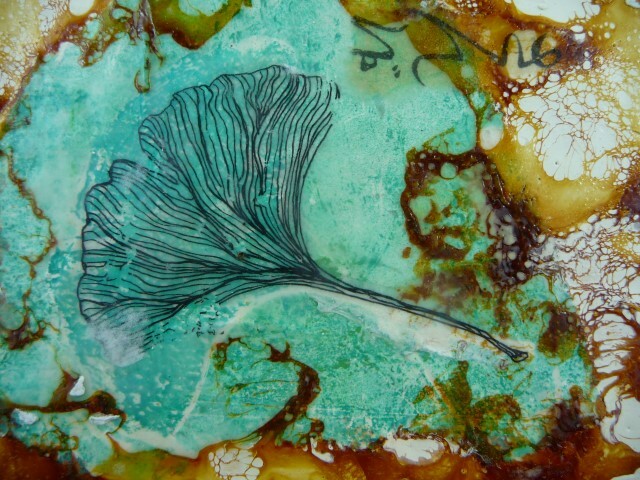 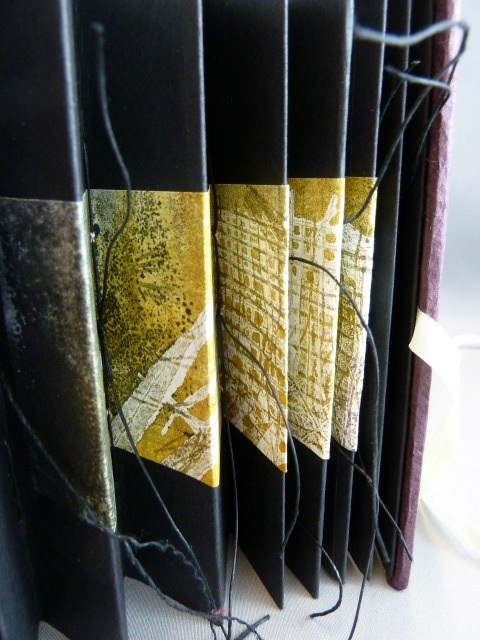 These books celebrate the beauty of gingko leaves and the beautiful effects of shellac and encaustic wax. 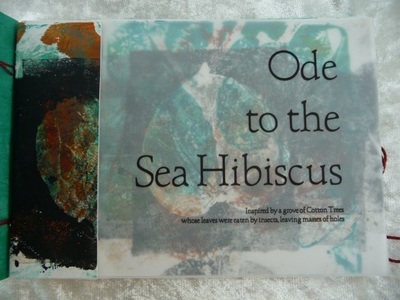 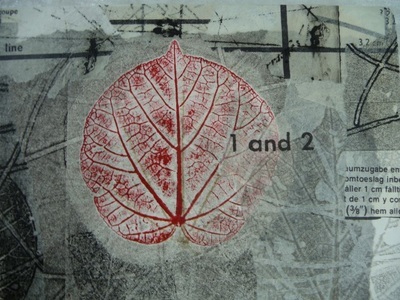 'Ode to the Sea Hibiscus' - Artist Book; gelatine monoprints, haiku poem. 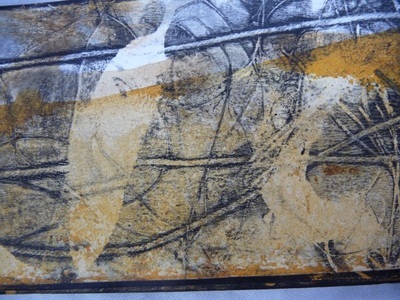 A celebration of the Cotton Tree whilst camping amongst the dunes at Inskip Point, Rainbow Beach, Queensland. 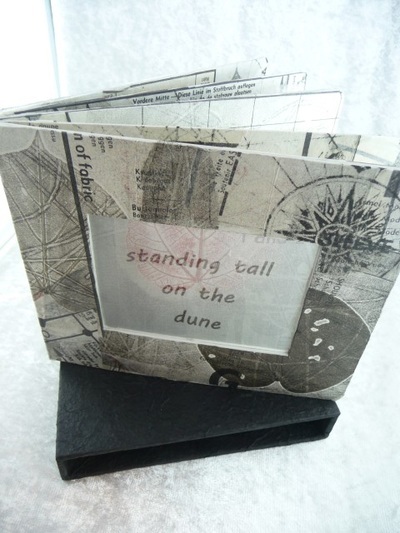 'Sand Dune Dancing' - Artist Book; monoprints, collage, haiku poem on altered book. A book inspired by a camping trip to Moreton Island, where Cotton Trees and She-oaks dominate the dune landscape. 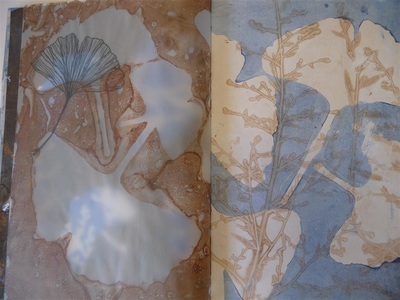 'Gingko Obsession' - Artist Book; gelatine monoprints on paper and vellum, long stitched over gingko ribbon. 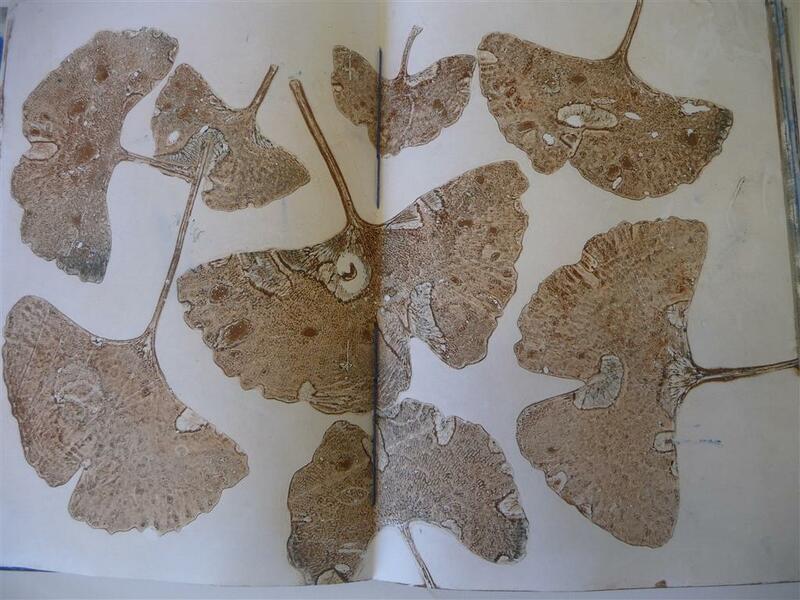 This book celebrates the simple shape of the gingko leaf, using repetition and a restricted colour palette to mimic a carpet of leaves on the ground. 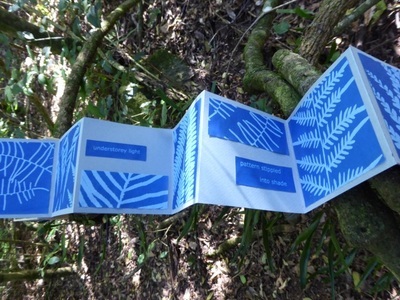 'Fern Gully' - Artist Book; monoprints, sewed and glued in a concertina format. I constructed this book as a means to display a series of double sided prints that I created on a holiday at Woodgate. The concertina format is partially restricted so the book stands up without assist, and the pages fan out for an interesting display. 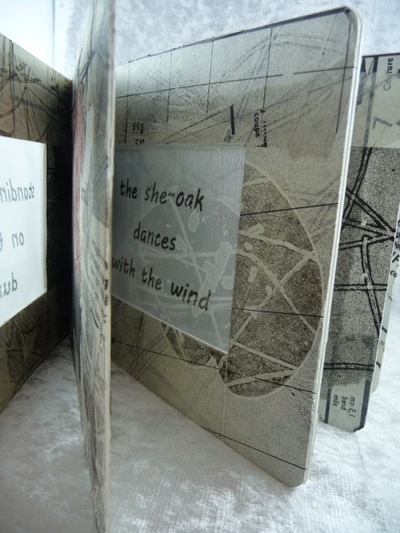 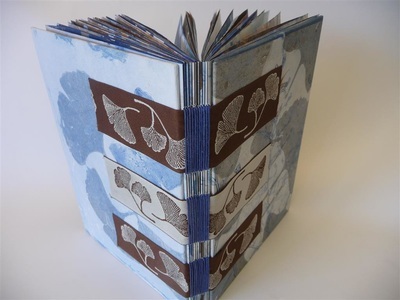 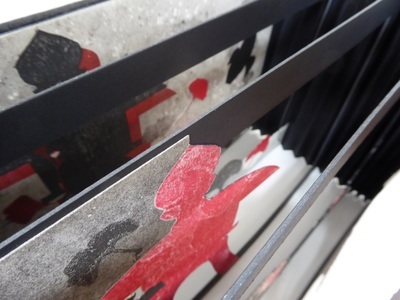 'Underfoot' - Artist Book; eco-dyeing and monoprints, sewed and glued in a concertina format. 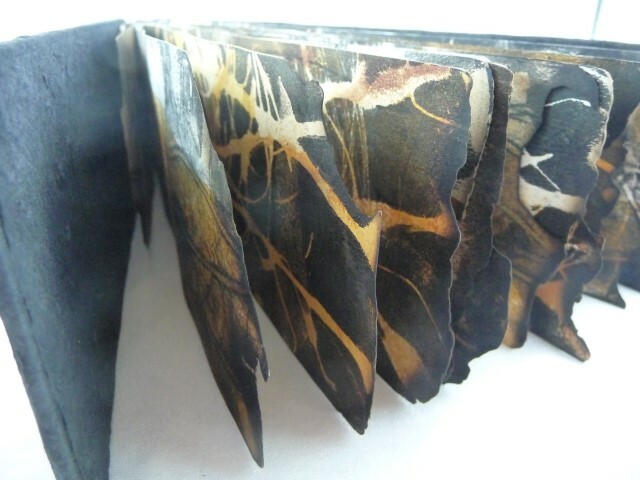 This standing book structure with printed and dyed leaves on paper gives the impression of walking through a rainforest, with my shoes crunching and rustling through decaying leaves. 'Understorey' - Artist Book; repurposed box, cyanotypes, card, haiku poem. 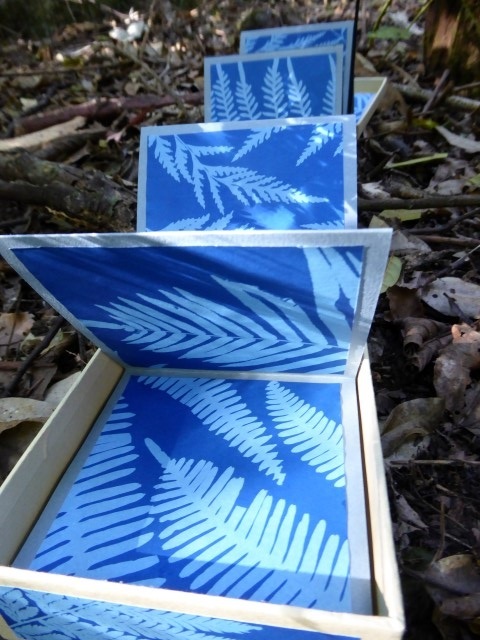 This book was inspired by my interest in the variety of ferns I have collected samples of over the past few years. I used the sun to print the ferns onto specially chemically treated paper, with the prints in a concertina format coming out of a box. I included a haiku-style poem on the theme of the understorey of ferns you'd find in a typical forest habitat.